Number 7 in a series of collaborative posts. This one by Richard Tillett with comment by Martin Smith. 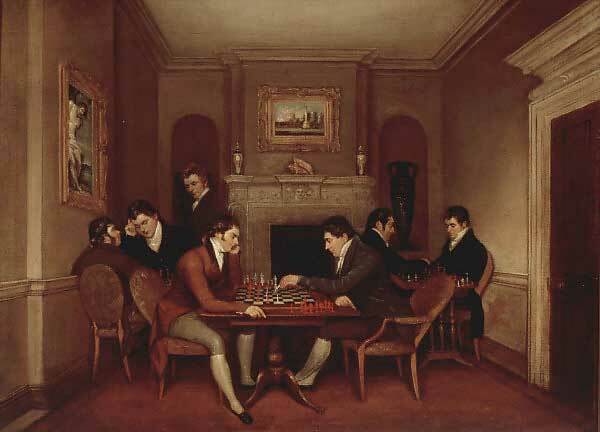 Welcome to another in our long-running saga about this picture of the gentlemen of the Hereford Chess Society by the little-known artist Thomas Leeming. As regular readers will know, Leeming painted at least two versions of the picture and included himself in the composition. He is the standing figure on the left watching the game being played between John Allen Junior (with his back to us) and Francis Lewis Bodenham. In our last post we revealed what we have discovered about the artist’s life up to around 1816. To recap: Thomas Leeming was born, we think, in Lancashire around 1788; by 1809 had settled in London where he plied his trade as a portrait painter and miniaturist; and by 1814 he had started to pick up commissions from the upper echelons of Herefordshire society. At some point in his Hereford networking he happened upon a young woman still in her teens by the name of Mary Link, the daughter of Ellinor and George Link. Her father was a wine merchant in the city who had been made a freeman in 1799, the year after Mary was born. We would show you a picture of her here if we had one. Perhaps one day we will trace the portrait Thomas painted of her and exhibited at the Royal Academy (RA) in 1819, if it still exists. For now, we will have to make do with this instead. 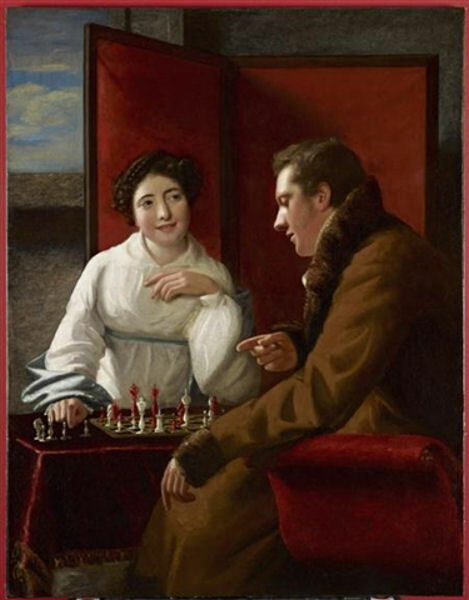 "The game is mine, she cries with joy, you can't prevent checkmate"
The relationship blossomed. Mary’s mother Ellinor, by then widowed, gave her consent and on 22 April 1817 the couple tied the knot at the parish church of St Peter’s Hereford. They opted to marry by licence rather than banns, which meant that Thomas had to sign a marriage bond in case any “lawful let or impediment” should emerge subsequently. The amount of the surety was set at £100, suggesting he was a man of modest but adequate means. One of the chessplaying gents, Theophilus Lane (the chess player on the far right in Leeming's picture), acted as his bondsman. The couple set up home at Thomas’s London house. The following year their first child, Thomas James was born. It seems Mary returned to Hereford for the birth, as the child was baptized at St Peter’s. At this point Thomas’s London friend, the lawyer James Buckton, enters our story. He’s the confident looking gent in the red coat, the son of affluent North London parents and some five years Thomas’s junior. Buckton was affiliated to a civil law institution called the Doctors' Commons (there’s a Wikipedia entry about it here). We don’t know how Thomas and James got to know each other – there’s was not an obvious friendship given the differences in age, background and occupation. Perhaps they met at the London Chess Club, which had its venue at Tom’s Coffee House in Cornhill just a short walk from the Doctors' Commons building in Knightrider Street. 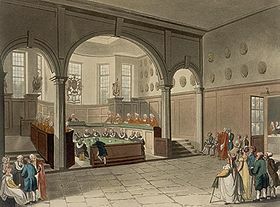 Print of Doctors' Commons in London from a drawing by Augustus Pugin Senior and Thomas Rowlandson for Ackermann's Microcosm of London (1808-11). Probably around 1818, James Buckton met Mary’s younger sister, Eliza Phillippa Link. As their relationship developed, James would have visited the Link family in Hereford to present himself to Ellinor and the rest of the Link family. It was probably Thomas who took him along to Rotherwas House, the Bodenham family home where we think the chess club met, to play a few games with the gents. James Buckton may well have commissioned the later version of the picture shown at the top of this post, the one which hung at the Royal Academy exhibition of 1818, perhaps as a ‘thank you’ to the artist for introducing him to Eliza. In the composition he takes the place of Samuel Beavan who appears in the earlier (1815) version now at Hereford City Art Gallery (which you can see here). In April 1819 James and Eliza married, not at St Peter’s Hereford but at St George’s Hanover Square, Thomas and Mary’s parish church in Mayfair. Thomas was one of the witnesses. Happy days, but they were not to last. It seems that Thomas and Mary lost their first born son, though we haven’t been able to confirm this for certain. Mary gave birth to a second son in 1821, but little Angelo survived for only 13 months. Then Thomas himself fell ill. We don’t know what ailed him, only that it was a ‘deep decline’. Perhaps he succumbed to tuberculosis (or ‘consumption ‘as it was then called) which did for so many of his contemporaries, including the poet John Keats. Thomas continued painting as his illness worsened. The end came on 24 May 1822, when he died at their Park Street home, just three months after Angelo’s death. He was buried at St George’s Hanover Square burial ground the following week. We can’t show you his gravestone as the plot was built over in the 1960s, so here’s the parish register entry instead (third from last, click on to enlarge). Poor Mary. She was scarcely 24 years old but had lost two babies and a husband. Nor was she well provided for – Thomas’s estate, all of which he bequeathed to her, amounted to just £100. One of the witnesses to his last will and testament was James Buckton. A fulsome obituary appeared in the Hereford Journal the following week, which we will return to in a future blog. Five of Thomas’s pictures were exhibited in the 1822 RA summer exhibition, perhaps as a memorial to him. By the end of the year Mary had left the house in Park Street. Rather than returning to Hereford, it seems she remained in London, perhaps at her sister and brother-in-law’s home. Six years later Mary married again, at Christ Church in Southwark, to a George Day, and once again James Buckton left his trace on the historical record as one of the witnesses. 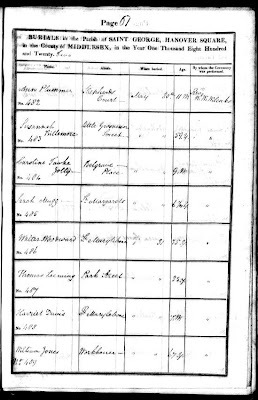 Mary and George ran a pharmacy in Lowndes Terrace, Knightsbridge and had three children during the 1830s. Mary died in 1839 aged 37. James Buckton became a proctor in the Doctors Commons' and lived with Eliza in some comfort in north London, where they had a large family. He died aged 69 in 1862; Eliza lived on for another 11 years. In our next blog (9 April) we make two more visits to Hereford where we rummage around in the archives, visit the cathedral again, and take tea with some present day chess gents. As the gt gt grand daughter of James Buckton and ELiza Phillippa Link, and the owner of the Buckton Family website, I was very interested to read your piece. I would be very pleased to see copies of your research, if possible. The Link, Buckton, and Day families were closely linked. George Day was in fact married to three Link ladies. Your research may be just what I have been searching for, to complete the picture. I can be contacted through my website. I hope George Day wasn't married to the three Links at the same time! Delighted to hear from you Elizabeth and I'll be in touch to share our research. We now know that Thomas and Mary did not lose their first born child, Thomas James. 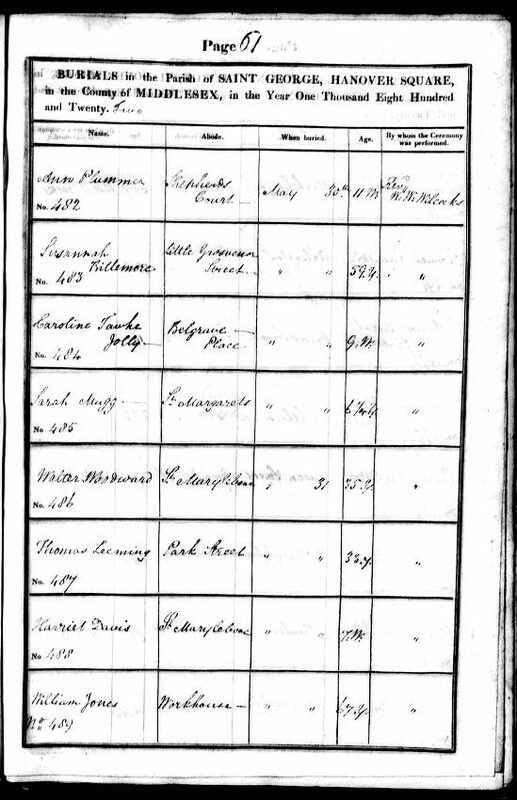 He is recorded in the 1841 census, when he was living with an extended family of Bucktons, Days and Links in the Isle of Man. Our thanks to Elizabeth Wicks of the Buckton Family website for this information. W(h)ither the British Chess Magazine? Indecisions, indecisions . . .